The group chooses items through the awareness of a need that are requested from a non-profit organization. The items must be made for individual use. There is a core group of 5-10 Plano Chapter ladies who, when necessary, will bring along their sewing machines, sergers, cutters, and other sewing accessories. They come to help on the first Friday of each month at 10:00 am meeting in the back room of the Bernina store at Coit and Mapleshade in the same parking lot with Central Market. 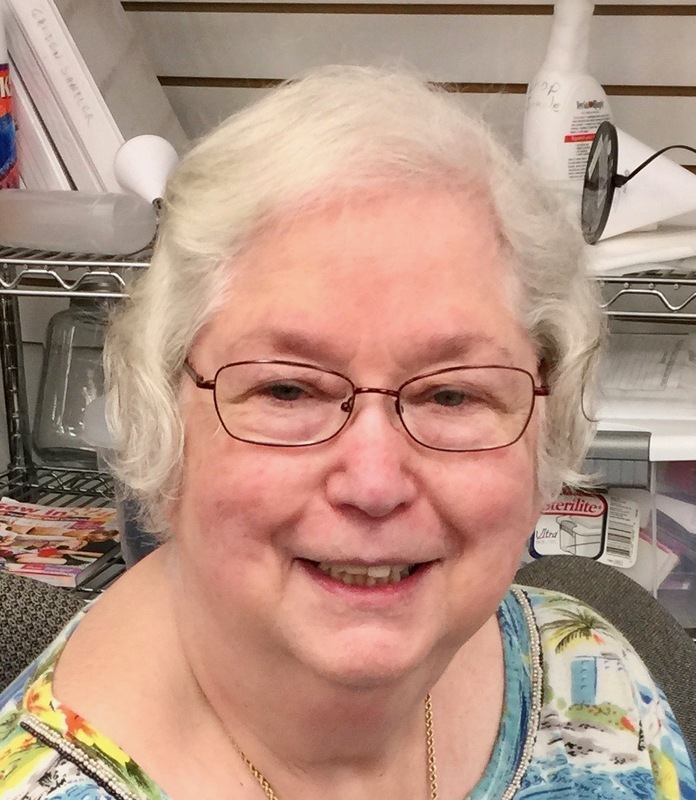 Carol spends time at home to select patterns, instructions, fabric and other items needed for each project and to make up samples. She often leaves with unfinished projects and continues the work at home. She finds the fabric and other items from the storage unit of donated items and may purchase other items from the budget. Some projects can be completed in one session, but others may take more sessions to complete. Some of the projects have been centered on kids in the hospital, such as; Superman capes, pillows with pockets for their hands, and scarfs for extra warmth. Other projects have included dog beds for a shelter, Christmas stockings for our active military, and memory bears after the loss of a loved one. Currently, the group is making zip cases for children that are taken out of the home with nothing. These cases will be filled, by another group, with essential needs. Carol is now looking to expand the Soldiers Angels Stocking Project. Join us. It’s fun and a great way to expand your sewing skills while accumulating volunteer hours for the Plano Chapter.